Interstate Removals Now Doing Backloading daily out of all capital cities. With such a large network of vehicles Australia wide, our interstate Interstate Removals Now Doing Backloading service has the availability and flexibility to suit your needs. So no matter where you are moving to or from, we will help eliminate the stress often related with moving, allowing you to enjoy the exciting prospects that your new home has to offer. With trucks available in every major city we can have your Interstate backloads & interstate furniture removals collected & delivered at the most competitive prices with the best service. Perth, Cairns, Brisbane, Gold Coast, Tweed Heads, New Castle, Sydney, Canberra, Hobart, Launceston, Melbourne and Adelaide – Interstate Removals has got it covered! We have a range of interstate backloads & interstate furniture removals services to accommodate every type of relocation from a complete home packing and un-packing service, through to a basic interstate furniture removal at Backloading prices. Express with minimal transit time or a delayed that can include storage if that is what you require. Whilst there is no compromise on the quality of our service and the care for your belongings, ‘Backloading’ rates are standard for all of our moving quotes. Providing the most cost effective method of Furniture Removals with maximum customer satisfaction. Feel free to give us a call on 1300 299 969 and we will try to help otherwise point you in the right direction. Just after a quote to move a free standing over from northbridge Sydney to bilambil heights in tweed heads. 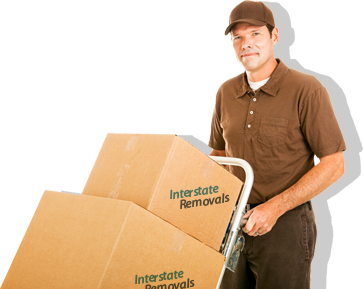 Your Interstate Removals move price is: $445 including GST.